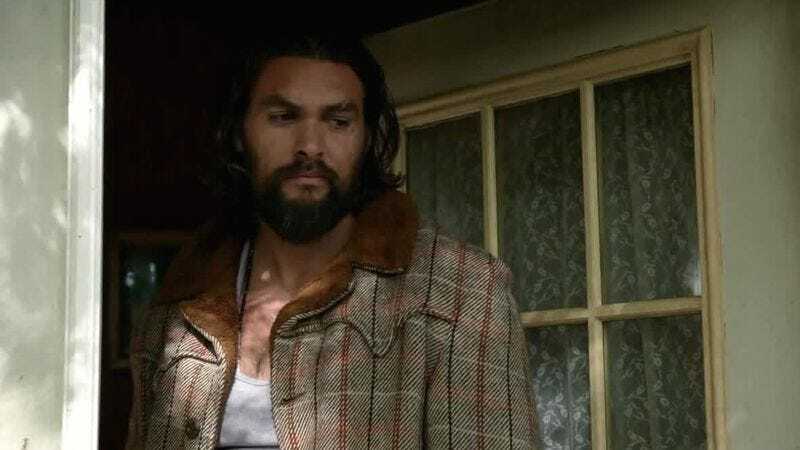 Jason Momoa’s various maritime duties may have prevented him from being a part of The Magnificent Seven, but it looks like he can still find time to do very manly things elsewhere—specifically, the Pacific Northwest. Deadline reports the actor has signed on to star in Braven, an action thriller that probably intends its title to be some sort of portmanteau of ”brave” and “heaven” or something, but unfortunately ended up naming itself after a line of wireless speakers. Perhaps Momoa will play the heir to this mighty real-life electronics dynasty? The film finds Momoa portraying a “humble logger residing along the U.S./Canada border who is confronted by a group of deadly drug runners in his secluded cabin in the mountains, and he must do everything in his power to protect his family.” So, basically the Northwoods version of Trespass, only with a family instead of gold, and no Ice-T or Ice Cube. It’s set to be directed by Lin Oeding (presumably the same Lin Oeding who has been a long-time stuntman and recent second-unit director), and will likely offer Momoa lots of chances to be big and strong and intimidating while still liking puppies, just as we imagine him to be in real life. It will not, however, allow for lots of hilarious jokes about how he controls fish, because we save those for the Aquaman updates.